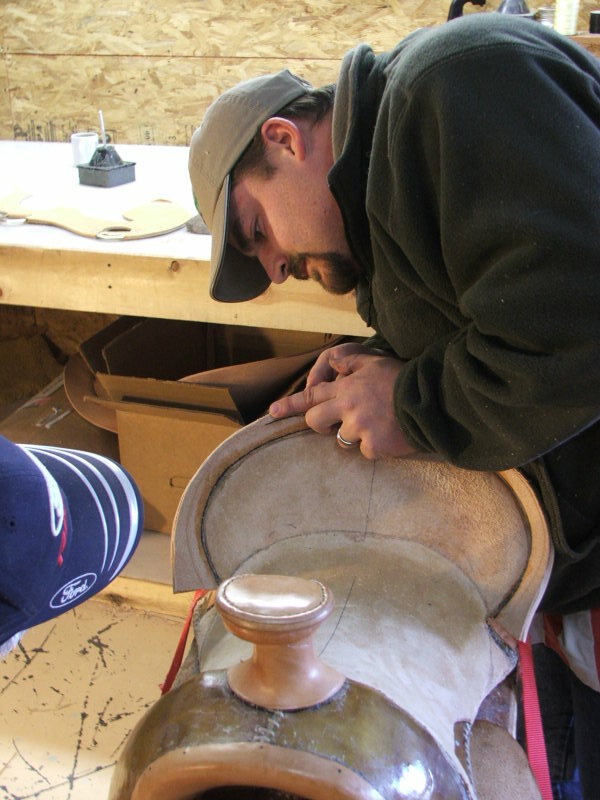 A five week course where you learn basic saddlemaking, tooling and carving techniques and the class includes all materials (leather, tree and hardware) to complete a basic saddle which you tool. You take the saddle with you upon completion and it has a value up to $2,900. The tuition for this class is $7,000. Includes sleeping accommodations in the bunk house. A course recommended for those who would like to go beyond basic saddlemaking or for those interested in starting their own saddle shop. 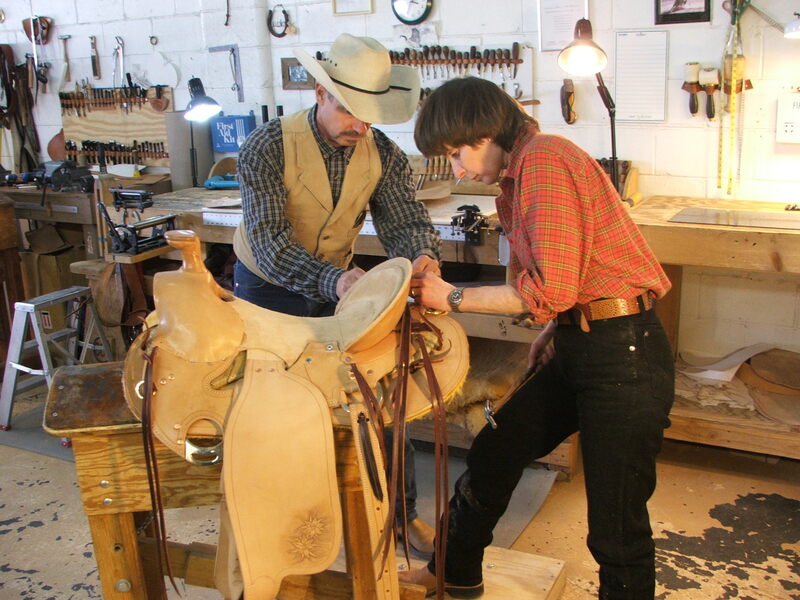 A ten week course that begins with the introduction to saddlemaking and tooling instruction where you build your first saddle and then carries on to advanced saddlemaking covering building custom saddles, fitting saddles to the horse, plus much more. In this class you build a second saddle, also yours to keep upon completion of the class and you receive a full set of saddle patterns. 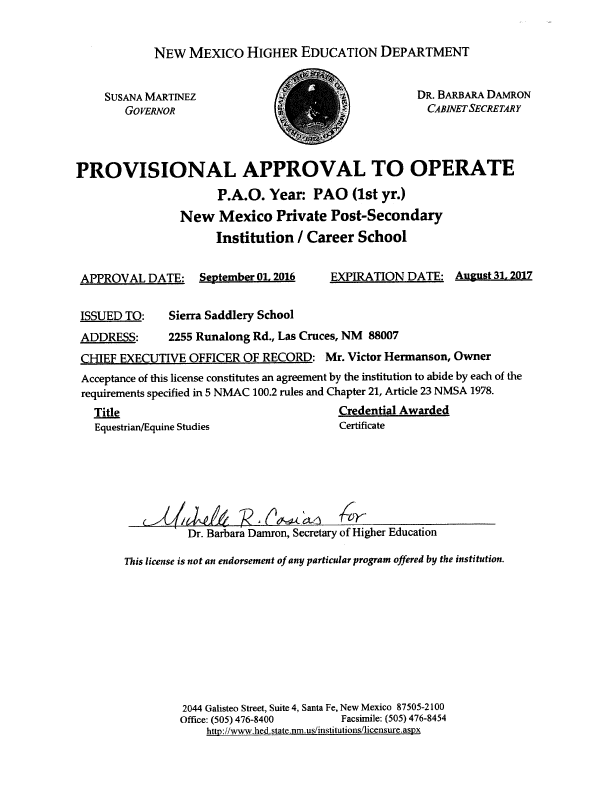 The tuition for this advanced class is $10,200. 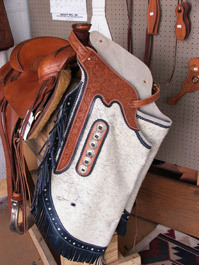 Saddlemaking requires the most advanced skills in the leather vocations, mastery of saddlemaking insures the complimentary skills of making harnesses, bridles, breastcollars, saddlebags, chaps, gun holsters, purses, etc.